Iain is a design and innovation management specialist working at the intersection of consulting, education and research. 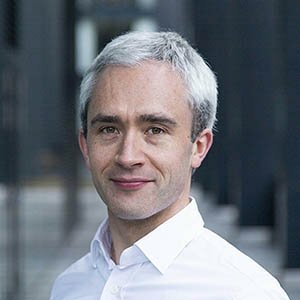 Previously Director at London-based product strategy consultancy Plan, in 2016 he founded Graft, a specialist design and innovation management consultancy that helps organisations build design capability. Over more than a decade, Iain has consulted to global clients including Bacardi, British Gas, Lenovo, Mars, Samsung, Unilever, Wrigley’s and Yamaha; leading innovation projects in over 15 countries around the world, and the creation of long-term development programmes to enhance the design and innovation capabilities of internal teams. He is also Programme Director at the Glasgow School of Art’s Institute of Design Innovation, and external examiner for the MA Multidisciplinary Innovation programme at Northumbria University. He also serves on the boards of the Design Management Institute, USA; and Creative Scotland, the national body that supports the arts, screen and creative industries.